To maintain accreditation, all accredited racing officials, stewards and judges, must attend a continuing education session approved by the Racing Officials Accreditation Program totaling at least 16 credit hours every two years. This can be accomplished by attending one 16 hour session or two 8 hour sessions, as long as 16 credit hours are achieved every two years. The CE year ends on December 31st of a given year. The ROAP Online CE is available to any accredited racing official, steward or judge under the stipulation that once the online CE is taken, the next CE must be attended in person. Exceptions will only be given to officials working outside of the US and/or Canada. Please note rolling over excess hours is not permitted. The CE expiration can only extend to the maximum of 2 years past the current year. For Example: If you attend a CE any time during 2010, your CE expiration can only extend to December 31, 2012. 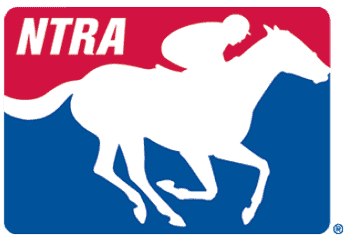 Continuing Education ("CE") programs may be sponsored by either the University of Louisville Equine Industry Program ("UL") or University of Arizona Race Track Industry Program ("UA"), or by another group such as a racing commission. A tentative CE schedule will be posted at least one year in advance of any prospective CE. In order to fulfill the CE requirement, the organizer should submit a date, time and location at least 90 days prior to the proposed CE for approval by the ROAP Education Committee and shall submit a final agenda within 30 days of the proposed CE for final approval by the ROAP Education Committee. The agenda must include ROAP's Points of Emphasis and the CE must be open to at least all accredited racing officials, stewards, and judges. All approved CE's will then be posted on the ROAP homepage. It is the responsibility of all CE attendees to fill out and return a ROAP Certificate of Attendance to the CE organizer so their records will accurately reflect attendance at the CE. A ROAP Certificate of Attendance so their records will accurately reflect attendance at the CE. Undocumented attendance may not be counted toward fulfillment of the CE requirement. Online CE: ROAP will conduct an eight (8) hour online CE each fall. The program will begin around October 1 of each year and participants will be able to complete six (6) hours of instruction at their leisure in addition to a required two (2) hour live webinar session. An accredited person who has not attended a CE program in more than two years must: complete the requisite number of 16-hour CE sessions, based on the number of years that have elapsed since the person last attended a CE session OR attend a 60-hour accreditation school. An accredited person who has not attended a CE session in 10 or more years must: attend a 60-hour accreditation school AND pass all examinations. Those officials classified as ‘retired’ are still required to make up the requisite CE hours to remaining in good standing.